Whether you’re a seasoned healthcare professional or just starting out on this exciting journey, one of the most important purchases you will ever make is a portable treatment table. You’ve worked extremely hard to get to this point. So knowing the products you choose are going to give you the best results, as well as being reliable, functional and comfortable for yourself and your patients, is what you deserve. 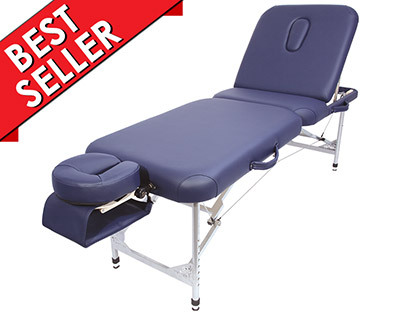 There’s a lot to consider when looking for a treatment table and even more on the market, so we appreciate how daunting it can be. We’re here to make your choice simple and eliminate any of the stress. When first looking for a treatment table it’s best to consider exactly what treatments you will need it for and where you’d expect to use it. For a therapist on the move, you’ll need something that is easy to transport, lightweight and efficient to fold up and down. You can have all of this without having to compromise on strength, dependability, appearance and comfort. It wasn’t always this way, fortunately for you, design and functionality of portable treatment furniture have progressed rapidly over the last 10 years. 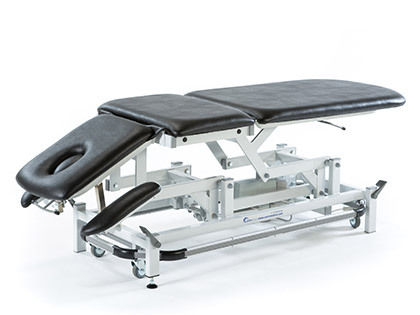 If you’re lucky enough to have your own clinic, our portable therapy furniture also provides reliable solutions that are strong enough to handle a busy therapists schedule. With easy height adjustments suitable for all treatments and any size patient. You've sussed out where... What's next? So now you know where, it’s time to consider what treatments you will be providing. If you’re treatments mainly require the patient to be laying down, then a flat couch can be all you need. Often the preferred choice for massage, osteopathy, reflexology and acupuncture among others, a simple flat table will allow you to complete your treatments. For treatments that require patients to be in numerous positions, e.g. physio, sports therapy, beauty treatments etc. then a couch with an adjustable backrest will be a huge advantage. Many patients feel more comfortable sitting upright or at an angle when they are being assessed or treated. It can also be easier for therapists to conduct their work if a client is able to be supported by a backrest. Another option that has become increasingly popular, especially with mobile practitioners is a Therapy Chair. 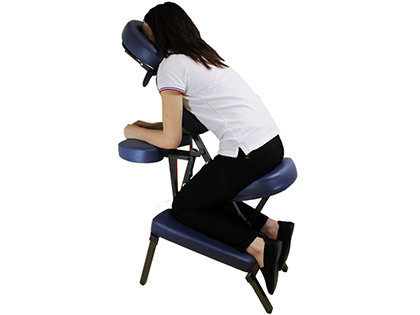 Compact, comfortable and great for massage, spinal treatments and much more. And one clever intervention sprung to mind!! Our unique spring mattress featured on the Physique Massage Couch has been a revelation. Using an extremely strong woven fabric to replace the traditional wooden base, that is thread bound all the way around the perimeter, has delivered exceptional results. It not only provides you with an extremely lightweight couch at only 10kg, it’s also exceptionally strong, comfortable and with the slight spring effect delivers you the best possible feedback during massage. And that’s not all… Constructed with an incredibly resilient and lightweight aluminium frame the Physique Massage Couch features arched end plates. The beauty of these is you can sit at either end as well as the sides of the couch to deliver your treatments, without struggling to position your knees and getting them trapped underneath. Also if you remember physics classes an arch distributes weight more efficiently so is stronger than a standard square frame. If you’re looking to provide a variety of treatments than having the option of a backrest to sit your clients up is a huge advantage. Slightly heavier than a flat couch but just as easy to set up and fold down. The most popular couch we supply and that’s mainly down to its versatility. 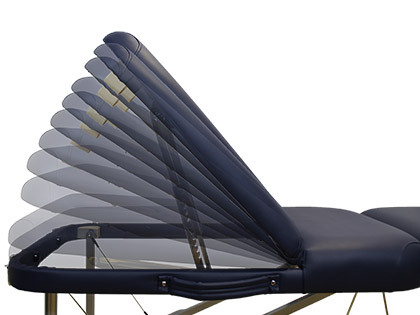 With an adjustable backrest the Physique Therapy Couch can be used for virtually all types of treatments. So what is so special about our couch? We’re a little bit geeky when it comes to attention to detail but we know our customers and how important the slightest feature can affect your work. I know what you’re thinking.. It’s just a backrest, how significant can it be... If it leans up and down what’s the problem? 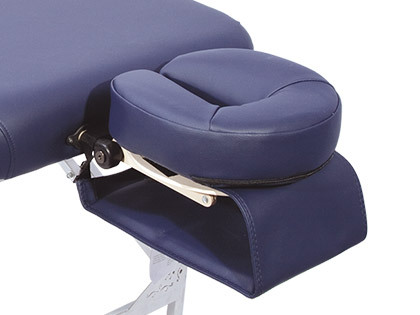 Backrests are designed to.. you’ve guessed it, rest the back, there’s a clue in the name. The strength of this couch is incredible. We supply professional rugby teams, so huge guys well over 20 stone are being treated with the therapist often jumping on the couch as well. A lot of sports healthcare work is done out on the field, so having a couch that will stand up to the test and won't buckle under some severe weight and pressure is exactly what you get with the Physique Therapy Couch. Both have an aluminium frame so you’ll benefit from the quick and easy height adjustments positioned on the legs. You can simply adjust the height at the push of a button from 61-81cm using the telescopic popper mechanism with 8 height intervals. If you’ve ever used a wooden table you’ll know what an advantage this is, with no need to play around with time consuming and awkward spindles. 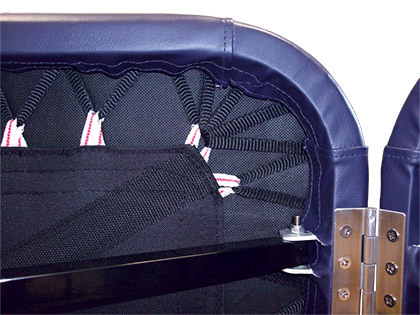 You’ll also benefit from the hardwearing vinyl that is featured on all our portable treatment furniture. We understand how demanding the environments can be where you work, so having a resilient material that can be exposed to the elements and will not split from a bit of rough and tumble is exactly what you’ll get. Finally, we’ll also throw in a Free Carry Bag. Obviously it’s not just any old carry bag, over time we’ve realised the tricks of the trade to produce the daddy of all carry bags. Reinforced base to prevent unpleasant holes appearing, slightly oversized for an easy and comfortable fit for your couch. Stronger and more reliable zips that won’t fail when you need them most, shoulder strap that now travels over the top from one side to the other instead of from end to end, making your task of carrying even easier. We’ve also added an external pocket so you can fit some of your essentials, couch roll, bolster cushion, massage oil, pack of hobnobs or whatever else takes your fancy… kitchen sink… it will fit.. it’s humungous.. They may look like something that would be more at home in a torture chamber, but please don’t judge on appearance. The practicality of having a patient in a seated position, where areas including the back, shoulders and neck can be effortlessly reached, are a huge benefit for the therapist. We’ve been selling treatment tables and furniture for over 18 years, we also have a team who wouldn’t like to admit a combined experience total nearer triple figures… As you could imagine we’ve seen a lot of tables over the years and learned what works and what to avoid. We have honestly sold thousands of our couches and only a handful have been a problem. We have a technical department to check each item we send out and on the extremely rare occasion of a problem, we’ll rectify any issues swiftly and professionally. You’ll also get the assurance of a 2-year warranty with all of our portable items. Our team at Physique are always looking at ways to make your daily treatments even easier. Have a look at these great ideas that are very popular with our customers. If you have a bit of a hike from the car or train to where you'll be treating, then you'll love this handy couch transporter. 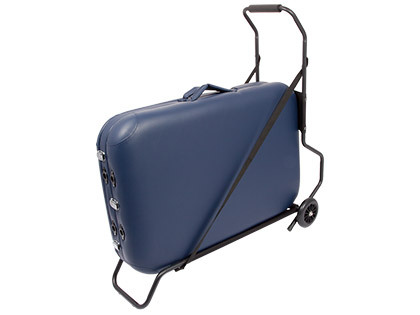 Ideal for any mobile therapist the Physique Couch Transporter will take a portable table up to 70cm wide and 21cm deep. Simple to fold up and down, lightweight and securely holds your couch in place, even on a rough terrain. Just because you're on your travels doesn't mean you can't still have the little added luxuries. 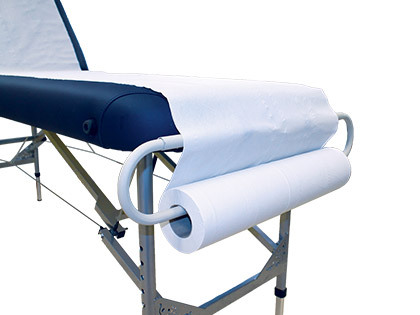 Our Paper Towel Roll Holder quickly and easily dispenses your couch roll so you can focus on the treatments. Simply attach to the end of your Physique portable couch. 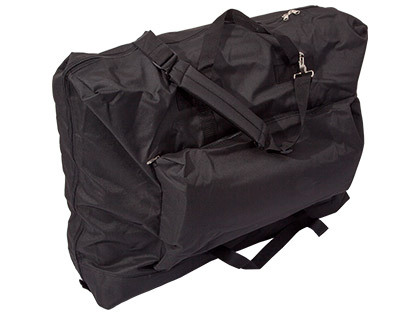 It's lightweight and folds flat to fit nicely in your carry bag. 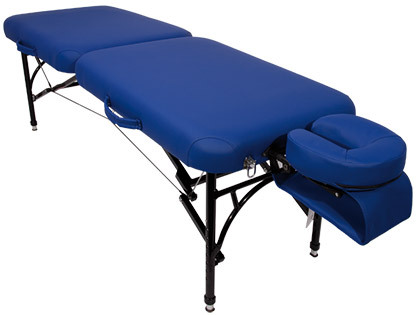 Our therapy furniture range also includes all the essentials for your treatments. If you're looking for something a bit more heavy duty then take a look at our range of Rehab Couches. If you have any more questions you would like answered on any of our products please email customerservices@physique.co.uk or call us on 02392 471346. Really pleased with this stool which is very comfortable and will hopefully prevent me from slouching. Exactly what we needed. Great well made product. Will be buying another! Very comfortable, nicely padded stool that improves my posture when I'm doing reflexology. I would have liked it to go slightly lower which is why I've given 4 stars but for the price it was a good buy. Fast and efficient delivery, easy to put together, very comfortable. The only thing is the instructions state the handle should be on the right hand side and mine is at the back of the seat so a bit awkward to use but ok once the seat is at the right height. This stool is worth every penny. I did consider going for a cheaper option and I'm so glad I didn't. It's very comfortable, extremely well padded (which was what put me off the cheaper models) and encourages correct posture. Received this chair less than 24hrs after ordering. Delivered via DPD so always great to get a time slot for delivery. Packaged well. Really impressed with the comfort of this chair. Really nice seat, feels like a gel seat! Fantastic value for money, we have ordered 3 in total. Used in a tattoo studio for artists to sit on whilst tattooing clients. Does the job perfectly. Thanks! !